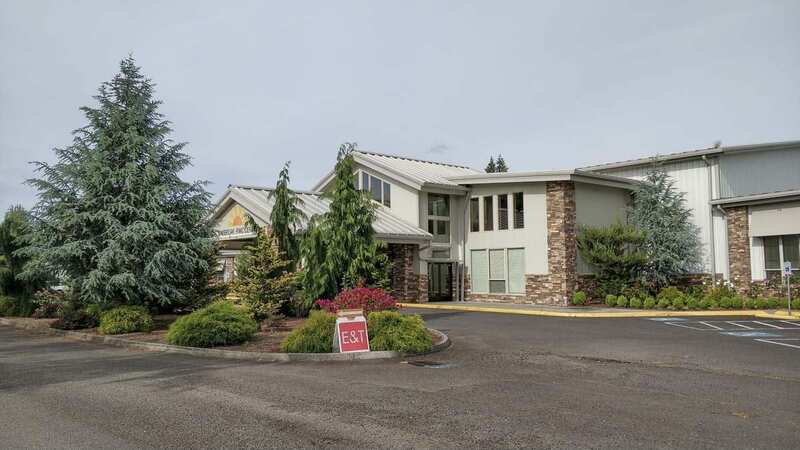 BATTLE GROUND — On Tuesday, investigators from the Clark County Sheriff’s Office served a series of search warrants at Daybreak Youth Services located at 11910 NE 154th St. in the Brush Prairie area of Clark County. Since early June, the Clark County Sheriff’s Office has been conducting a criminal investigation into allegations of unlawful sexual contact between youth clients, unlawful sexual contact between a staff member and a youth client, and allegations that Daybreak Youth Services failed to report criminal sexual conduct which is required to be reported under state mandatory reporting laws. A total of six search warrants are being served at the Brush Prairie facility related to six different incidents which are under investigation. These search warrants provided judicial authority to search for documentary evidence including written documents, video footage, email records, computer records, and other evidence relevant to the matters under investigation. In addition to the six search warrants served at the facility, investigators are also serving search warrants to Microsoft Corporation and Qualifacts Systems Incorporated asking those businesses to preserve digital records stored on their servers. The Clark County Sheriff’s Office notified the Washington State Department of Health on June 7, when the allegations were first reported to the sheriff’s office. The Department of Health has licensing authority over Daybreak Youth Services. Since that date, the Department of Health has been conducting a concurrent investigation. Any inquiries regarding the Department of Health investigation should be directed to that agency. The Clark County Sheriff’s Office is asking that any current or former employees of Daybreak Youth Services who may have information relevant to our investigation to contact the sheriff’s Sergeant Chris Luque at (360) 397-2211 ext. 5626 or email at Chris.Luque@clark.wa.gov. They also ask that any current or former clients, and parents or guardians of current or former clients, contact investigators if they have information which may be relevant to this investigation. 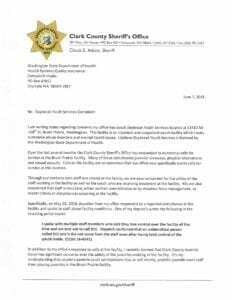 The attached letter is from Sheriff Chuck Atkins to the Washington State Department of Health. Daybreak Youth Complaint. Click to open PDF.